Welcome to luxury...Once again Chen Edwards delivers some of the finest shirtings. These dress shirts are made from some of the finest Italian fabric money can buy. 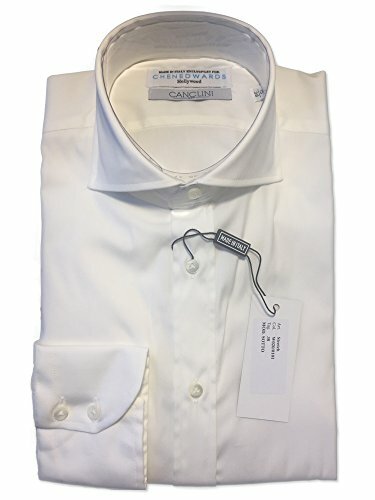 Heralding from the famous Canclini mill these stretch fabric shirts will give you a luxury fit while maintaining movement and resisting wrinkles. At home in both business meetings and on the beach these shirts comfort won't let you down. The story of Canclini Tessile started over 80 years ago, in 1925, when the company was set up as part of the silk industry in the Como area. The first generational change took place in the Sixties. The outstanding experience acquired in working with a precious and luxury fibre like silk together with the tenacity and laboriously bard work that are typical of the genuine Como entrepreneurship led the family to abandon the silk sector for cotton in the Sixties. This proved to be an inspired decision since the fabrics, in the following years, began to be exported to German and French markets. At the end of the Eighties, the offices were moved to the current location in Guanzate and the second generational change took place. If you have any questions about this product by Chen Edwards, contact us by completing and submitting the form below. If you are looking for a specif part number, please include it with your message.